We had the pleasure of working with Jennifer Bryndal. Having had a lovely home on the market for six mnths with little action, our contract ended and we decided to interview other realtors. We interviewed several and were not impressed till Jennifer showed up! She has an enthusiasm for her job and clients like no other! Her professional demeanor and work ethic was far superior from what else we were exposed to in our area. She not only sold our house for more that we asked, she used her awesome negotiation skills to help us purchase a new home for a bargain. 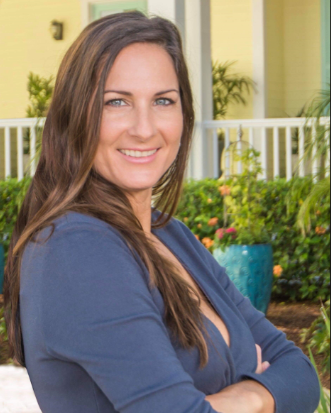 We would recommend Jennifer Bryndal to anyone that wants a pro, to sell or buy there home in St. Johns County !!! Jennifer provided outstanding service when we bought our new home. She diligently pursued ensuring the house was up to par, like insisting they fully test the pool heater (which ended up not working and getting us a credit) and trim back the trees. Both areas weren't even on my radar, but there Jennifer was with 3 tree trimmers on a Sunday to estimate the job and then get the current owner to pay. Her knowledge of the process, protection of us as buyers, and professionalism were outstanding, and I would strongly recommend her to anyone interested in buying or selling his or her home. When we were looking for a second home in Florida, Jennifer was able to find us the perfect home in a lovely community. She was able to determine exactly what we were looking for within our price range and made the experience much less stressful than we had anticipated. We were pleased and impressed with her ability to negotiate the final price for us as well. Jennifer is a very capable and professional realtor and we would recommend her without reservation! When my husband and I decided to sell our home, we knew we needed a realtor who could really help us through the process and get the job done. Jennifer Bryndal was the strong advocate we needed, guiding us through the details of getting our home ready to show, pricing our home for the market, and helping us prioritize where to spend our money and time for the greatest return. When we put our home on the market, we had obviously done the right things to prepare because our home sold in four days, and the offer was a good one! Throughout the negotiations and paperwork, Jennifer was just as knowledgeable and strong an advocate as she had been prior to putting the house up. Jennifer illustrated her mastery of all facets of the process, and thanks to her, we have a new, beautiful home in an excellent neighborhood -- and just in time before our kids started school and new baby arrives. We strongly recommend Jennifer for any real estate needs! Jennifer did an excellent job selling my home and she was a pleasure to work with. She began by staging the home and providing useful tips to ensure the house appealed to the broadest pool of potential buyers. She worked diligently marketing the home and following up with prospects. She was more than willing to hold one or two open houses each week until the house sold. She is a knowledgable and enthusiastic agent willing to go above and beyond to get your house sold.